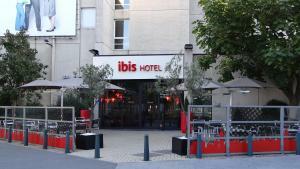 In the historic and cultural heart of Antwerp, the ibis has functional accommodations with free Wi-Fi and a 24-hour lounge bar. Meir Shopping District is just a 850 feet walk from the property. 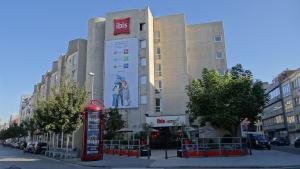 Hotel ibis Antwerpen Centrum also has a 24-hour front desk. All of the rooms include air conditioning. 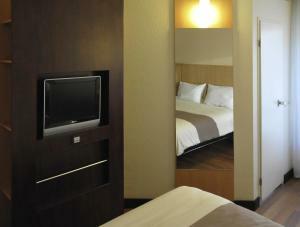 The room also feature a flat-screen TV and a bathroom with a shower and a hairdryer. The daily breakfast buffet includes a wide range of cold and hot dishes. 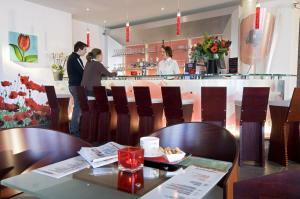 The Rendez-vous bar of the hotel has a selection of beverages and Belgian beers and is open 24 hours a day. Public Transport Station Antwerp Stadspark provides direct services to tourist attractions throughout the city. 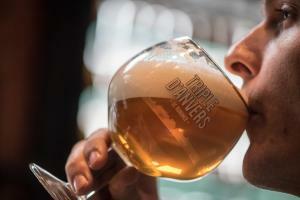 Antwerp Central Station and the Zoo are a 13-minute walk from the hotel. The most recent booking for this hotel was made on Apr 18 at 17:04 from United Kingdom. 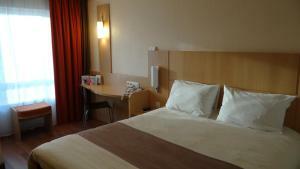 These are general hotel policies for ibis Antwerpen Centrum. As they may vary per room type, please also check the room conditions. Please note that guests staying with children are requested to inform Ibis Antwerpen Centrum of the number of children and their age. Guests can do so by using the Special Requests box. Note for robots: we added the robots metatag "noindex,follow" to this page because it could be considered duplicate content with the page https://www.booking.com/hotel/be/ibisantwerpen.en-us.html which should be in the index.